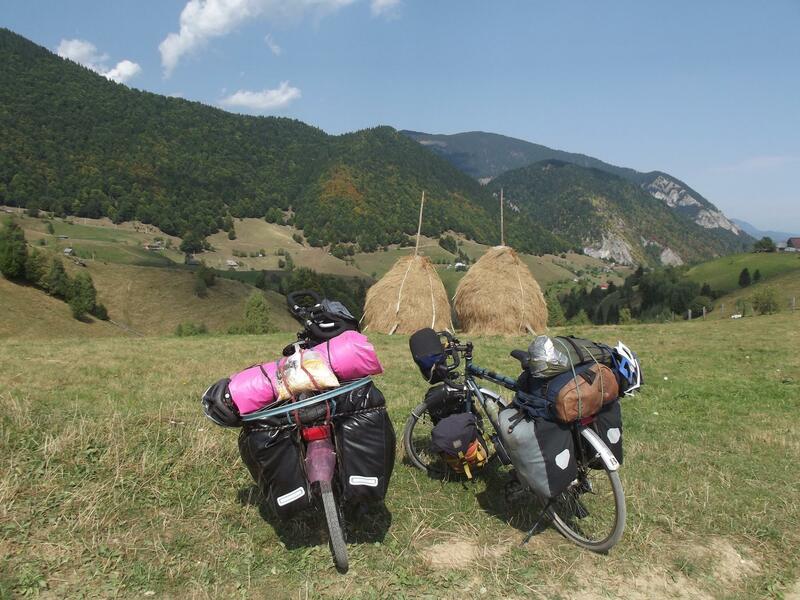 Along with hitchhiking, the most popular alternative way of transportation while traveling is – cycling. 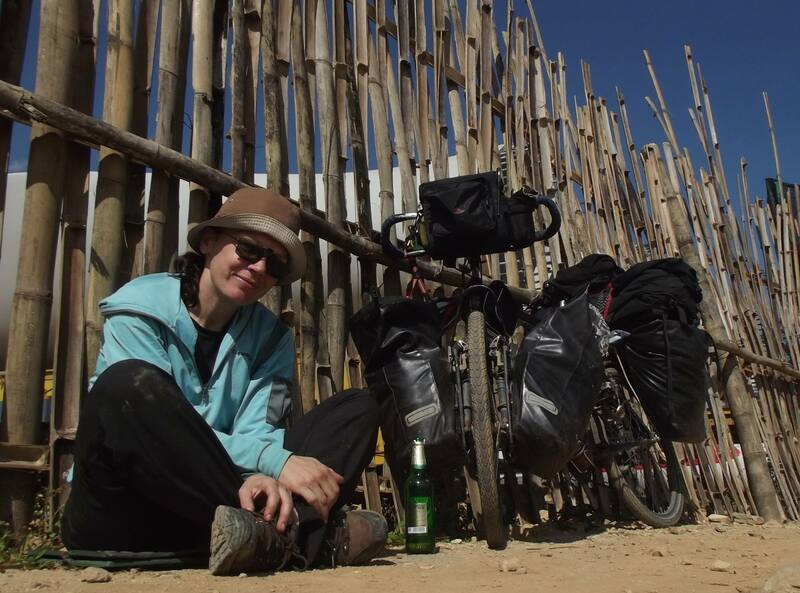 Since I’ve never traveled on a bike, I will lend a virtual pen to a world cyclist Snežana Radojičić, so she can share few useful advices about this way of traveling the world. I Graduated Yugoslav and world literature, was insurance manager and writer who published rarely, but from the heart. The first half of life I spent as a bookworm, working jobs that I didn’t like. On the threshold of the forties I woke up, realizing that I did not achieve any of my dreams – to live freely and write. It was 2011 when I got the courage to say ‘no’ to the life that I was not satisfied with, and with a budget of five euros a day and a partner whom I barely knew, went into life’s greatest adventure, with the firm intention to live my life the way that I always wanted. After seven months, I was left alone, and after nine – without any source of income. But I have not given up. 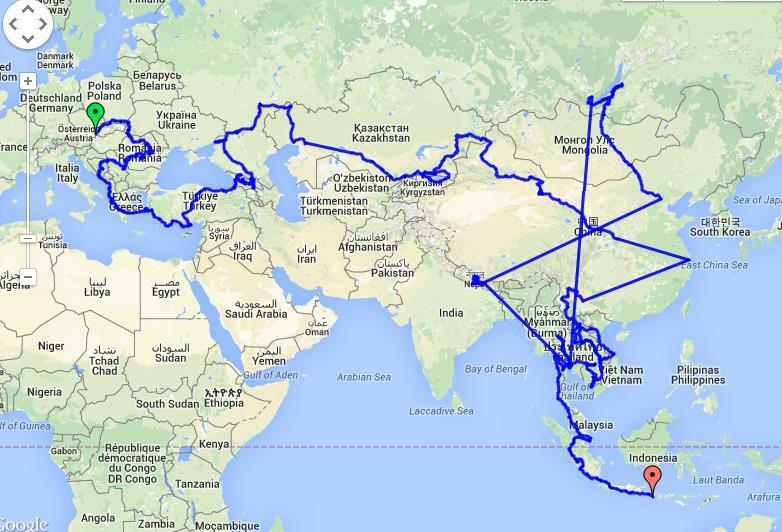 I continued to roll and in four years traveled about 40,000 kilometers and visited more than thirty countries in Europe and Asia. I achieved my goal – to live freely and of my books, but in the meantime I was incurably infected with the nomadic way of life, so I’m not thinking about the end of the trip. You don’t depend of one’s good will for transportation. You actively participate in the life around you, passing through the villages and making connection with people. You are quick enough to pass serious distances, and yet slow enough to notice everything around: impressive landscapes, life behind the fences, colours, smells and sounds. You feel the wind in your hair, breathing in the smell of the grass, resting your eyes on the areas that you pass through. You have the freedom to take every path that you want. Once mastered the ascent, the award of downhill follows. You constantly test yourself and move your limits. You breathe fresh air, you exercise and you are not polluting the environment. The biggest flaw of this method of travel is related to the use of other means of transport – when you need to pack for bus, train or plane. Packaging into allowable baggage measures will be the most stressful part of your journey. Therefore, if possible, plan to drive only land routes. There are many cases when people went on long tours, and even around the world without being very fit at all. It sounds paradoxical, but the longer the tour, you need less physical training because in the first days you will have enough time to slowly adjust. In addition, if you do not have a time limit, you can allow yourself to listen to your body and to drive as much as you want on a certain day, not worrying about the distance covered. But even if you’re in very good shape, muscle soreness is almost inevitable. The training without loads is incomparably easier than riding with a loaded bike. The greatest danger in traveling by bike are careless drivers. Therefore, it is crucial to be visible on the road and to strictly observe traffic regulations. Wear a T-shirt in a bright colour (best would be fluorescent vest) or a flag on the bike, because it is already visible from a great distance. The helmet is a mandatory piece of equipment and you need to have it while cycling. It’s your only protection in case of an accident. You need to know that accidents at low speeds are equally dangerous, and you can never predict what will the consequences be. Try to ride back roads because there is less traffic, and they usually go through beautiful landscapes. If you are driving during low visibility or at night, be sure to be visible, forward and back. But it is best, if possible, to avoid driving in these situations. 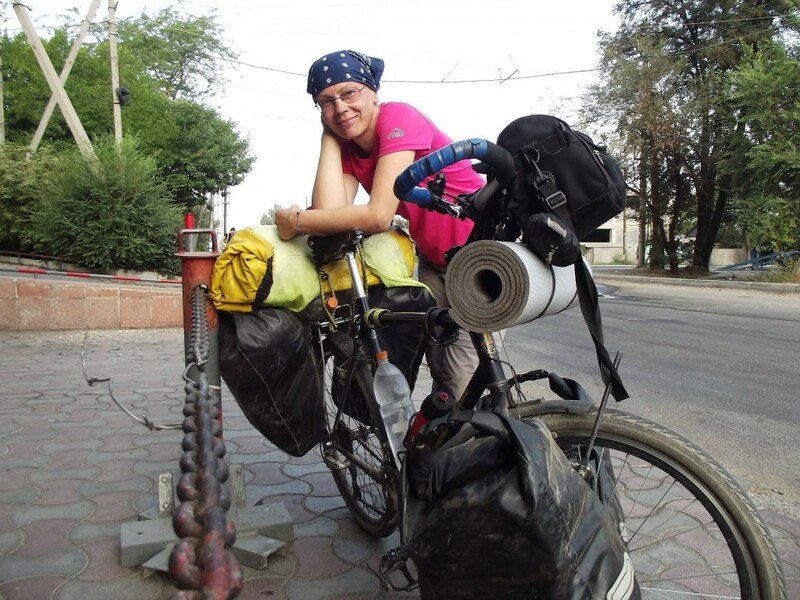 Women should not be afraid to travel by bicycle. Like dangers are not lurking around every corner in everyday life, trouble while traveling by bike is not waiting behind every curve. What you need to strictly take into account is the clothes you wear, which must be in accordance with the standards of the country or area where you are driving through. In many patriarchal communities, especially in Muslim countries, wearing tight bicycle pants and shirts with straps will be interpreted as disrespect for tradition, but also as a signal to attract the dodgy men. Remember that when in Rome, you should be a Roman. Girls should pay extra attention when it comes to taking showers and baths during camping. Since you never know who may observe you, try to avoid attracting someone’s attention. In rivers or in the camper showers you can be wrapped in a long scarf – a sarong, or in some similar way. When it comes to behavior, be polite, but not exaggerated – and avoid arguments. Never give out your accurate plans to curious people you meet on the way, when you stand in front of the grocery store or in a random places. In potentially hazardous situations you can fake a phone call with your imaginary partner that you are waiting for. If you are afraid to travel alone, carry pepper spray. It is banned in some countries, so it is best for you to have alcohol deodorant that produces a similar effect. 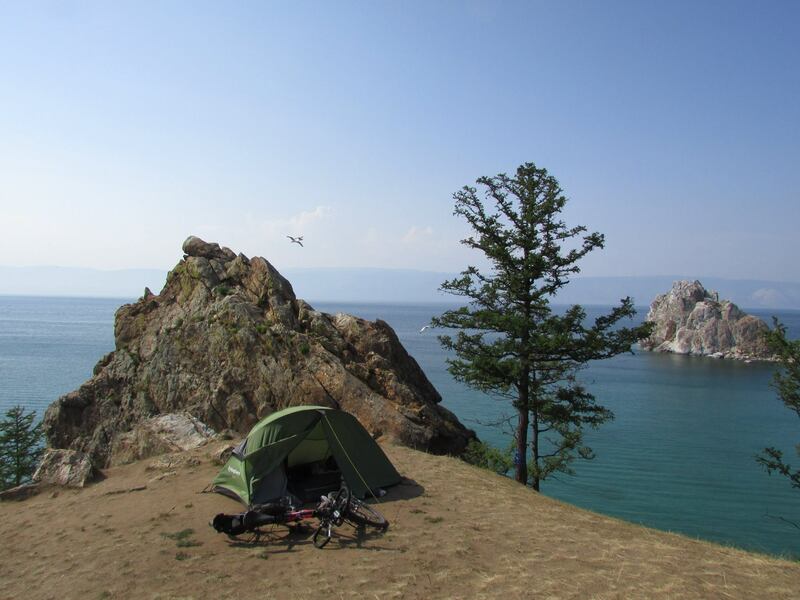 Wild camping is the most beautiful way of accommodation, and they cheapest. It gives you the irreplaceable feeling of freedom that you can stop where you want, so you do not need anything other than your ‘mobile home’ and a couple of square meters of flat ground. It is best to camp outside of civilization, in the wild. No need to fear animals because they generally avoid humans. If you are in a territory where they are numerous, take precautions and put all the food and chemicals at least 50 meters away from the tent. If you are afraid, you can camp near the villages. Whenever possible, find the property owner and ask him to put up your tent on his property. You can camp or sleep in parks, schoolyards and schools, on the sports fields, in churches, hospitals, police stations, but always first ask for permission. In many cases, people will invite you into their homes and insist that they host you. You can also find free accommodation via Couchsurfing and site specialised for cyclists – Warmshowers. There are also several groups on Facebook for hosting passengers on bicycles. In Europe there is a developed network of camps and their locations are on tourist maps of individual countries. Contrary to common belief that you must have some fancy bike for the big cycle trip, its better to start with a bike that has a strong and durable steel frame. It is advisable to have a rigid fork because the suspension can brake, and in many parts of the world they don’t know how to fix it. Try to have a good quality cogset and the front derailleur, because they are the basis for the proper operation of bicycles. Don’t be stingy on good rims and reliable brakes. V-brakes and disc brakes are equally good, but make sure they are mechanical (not hydraulic because they brake too often and many people do not know how to fix them). Treat yourself to more quality tires because it pays better than stop every few hours, remove the load and patch a tire. Comfort of travel will mostly depend on the saddle, which should be neither too hard nor soft. The best saddles are leather ones, which eventually form by the driver. Always make a full service of the bike before departure! Waterproof panniers are usually quite expensive. You can buy cheap ones of water-resistant material and waterproof covers for them. Another cheaper solution is to put large garbage bags in the panniers and pack your things inside. You do not have to have a bike clothes to travel by bicycle. The only part of the bike-wardrobe that you should buy are the cycling shorts that have a pad in the groin area, which makes long hours of sitting on the seat much more comfortable. You always wear bike shorts on the naked body. Clothes should be made from active materials that absorb the body sweat, dry quickly and allow the skin to breathe. They make all the hiking wardrobe from those materials. But you can also drive in a cotton T-shirts if you want. You can ride in sneakers or hiking boots, which is especially convenient if you combine cycling with hiking. 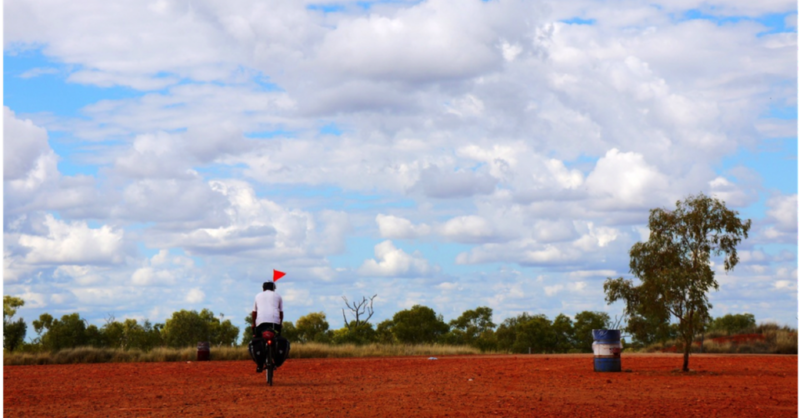 Learn basic words of the language of the country through which you drive. Your ‘hello’ or ‘thank you’ will be as a ‘abracadabra’, making your first encounter with the locals much easier. In Europe, there is a network of cycle paths, which are mostly closed to other traffic and lead through picturesque areas of these countries. 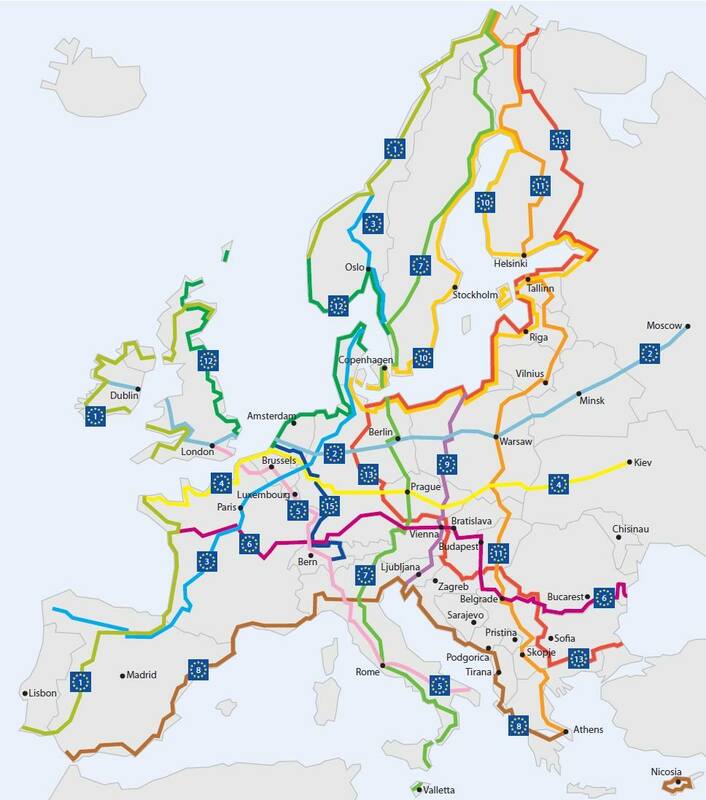 Their name is EuroVelo routes and for now there are 16 of them, with a total length of 70 000 km. You can look for cycling partners through specialised cycling portals such as Warmshowers and Crazyguyonabike. If you travel to several countries for which you need a visa, try to get them before you depart because it is a lot easier than when applying from a third country. For more information on visas, please read this article: VISA ISSUES. In the end, only one thought: to travel by bicycle, as well as any other journey, the most important thing is to have a great desire and an open heart. Check out Snežana’s web page snezanaradojicic.com.